YoYoExpert is excited to present the Natural Kendama from SWEETS. Started in 2010 with the mission of spreading the benefits and gratification of Kendama, Sweet's produces Kendamas for all skill levels! 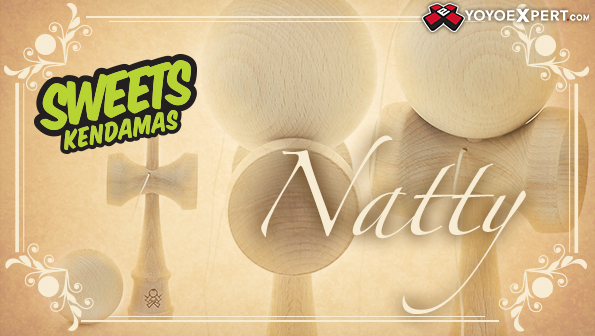 For those who love the natural beech wood look and basic feel, or for those who want to do their own customization Sweets is happy to offer their Kendamas in natty (all natural) form! This is an excellent inexpensive option with endless possibilities. Or just play with it as is! This tama comes pre-strung on the new Sweets ken, and include an extra string, bead, and an instructional booklet.